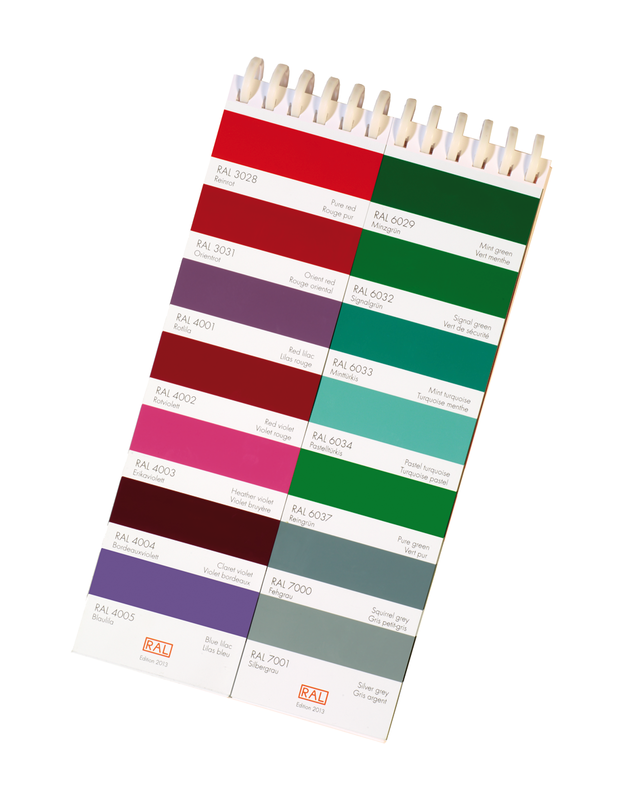 Booklet with 213 RAL CLASSIC colours. 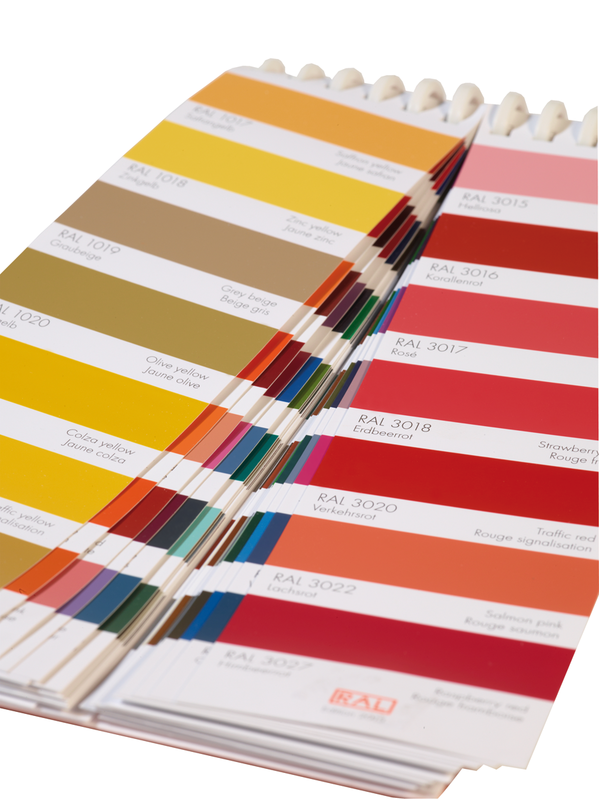 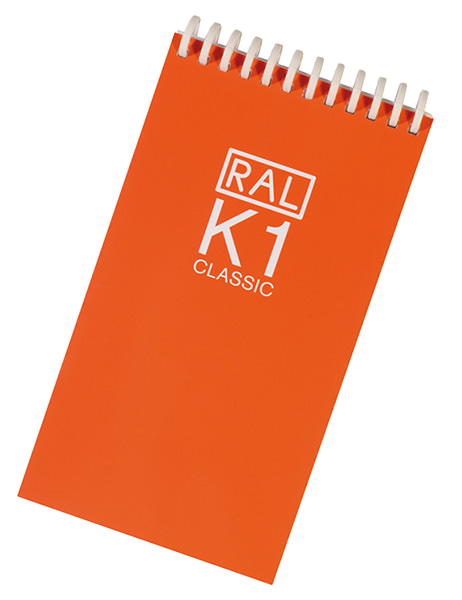 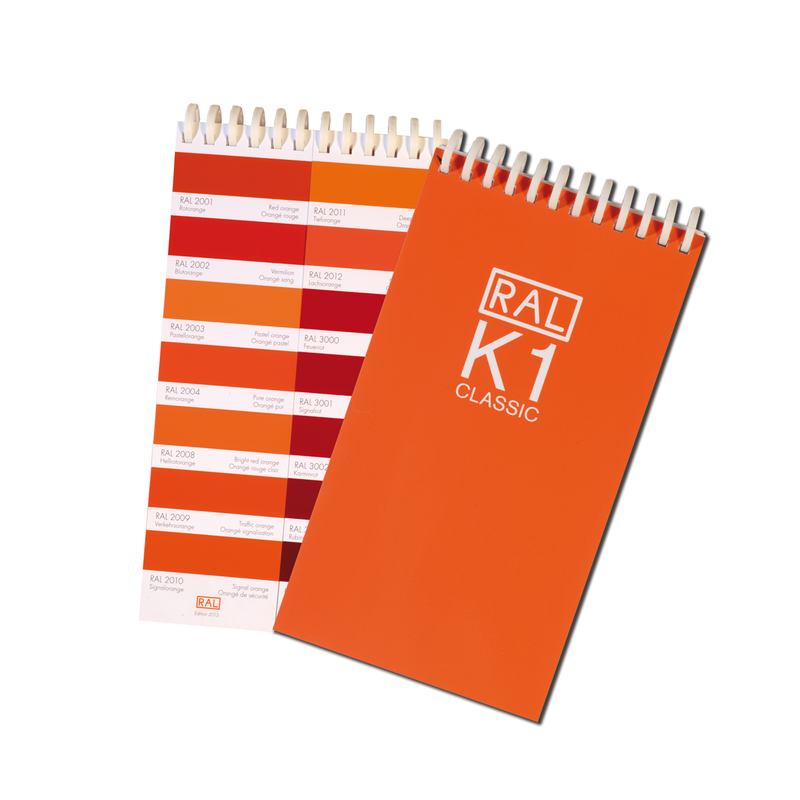 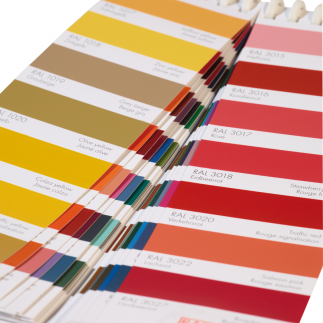 The booklet RAL K1 contains 213 RAL CLASSIC colours and is especially user friendly. 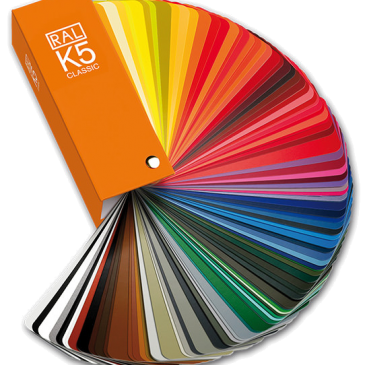 With only 14 colours per side and a sheet that is divided in the middle, the RAL K1 allows for a lot of flexibility and many colour combinations. 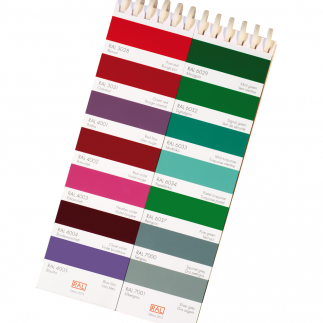 The coloured strips are produced using an elaborate paint stroke process for the first time.